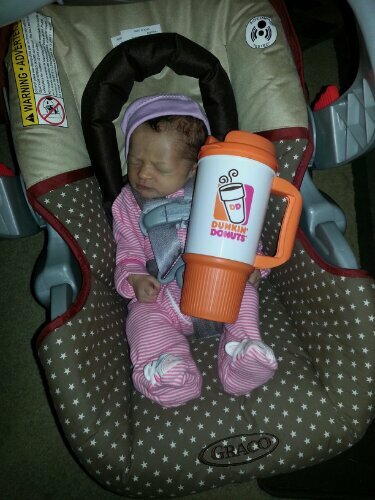 We figured that 12 days was long enough for her to wait for her first 24 oz of Dunkin. This entry was posted in Baby stuff and tagged baby, dunkin donuts, stay at home dad. Bookmark the permalink.